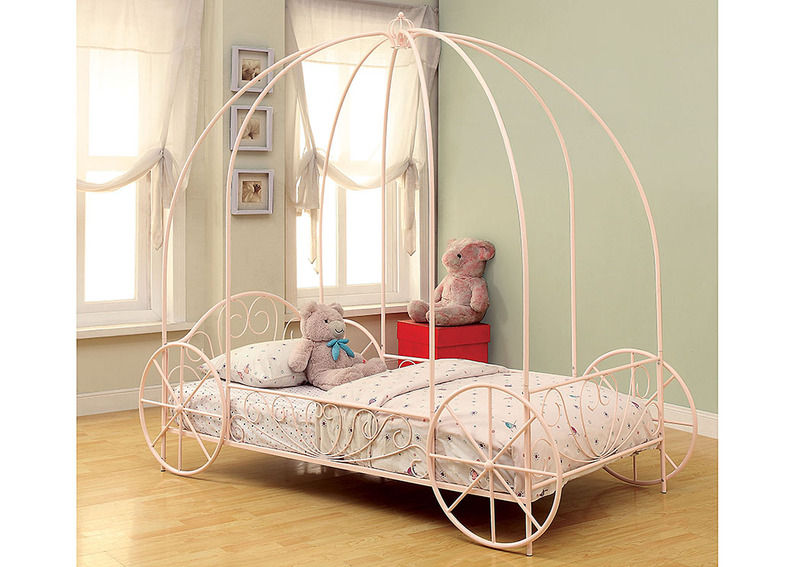 This Elegant Youth Canopy Bed Will Add A Touch Of Sophisticated And Feminine Appeal To Your Little Girlâ€™s Room. The Gorgeous Swirly Ornament Design Headboard/footboard Compliment The Canopy Wave Design At The Top Of The Bed. This Whimsical Design Bed Is Offered In White.